You have done a great service “MADAME”! In the last frame on page 13 (talking about the input from the potentiometer) shouldn’t the values from the A/D converter range from 0 to 1023 (not 1024)? It’s well explained at the beginning, but when you add at the end the led & the switch why don’t you explain the value of the resistor ? Good point. To be honest, I thought I could do this in about 6 pages and by the time I got to that point, I wanted to be finished, didn’t think about explaining the resistor. I will add it in in version 2.0. Very nice for our sons in comPVter kids activity ! Awesome work. Thanks for all your efforts and making is so simple to understand. I would like to translate to Spanish your comic. Please: How I can help? Super job! This should help a lot of folks understand electronics, and in particular, microcontrollers and interfacing them to the real world. 1. On page 2. An Arduino is a microcontroller board where MICROCHIP refers to the microcontroller on the board and also a company that makes competing microcontrollers to the ATMEL part that is used on the board. 2. On page 3. A sensor is a device that measures a physical quantity and converts it into a signal, thus a switch can be a sensor as well. So a sensor can be digital as well as analog. Very good job though. I am forwarding the link to a teacher at a High School that I support with their engineering program. Thanks, someone else pointed this out, will revise eventually. Wow. That’s great! Can’t wait for more! Thanks, just the info I wanted, in a nutshell. excellent work! It made me clear all this about Arduino. I will forward this to my teens. I just ordered my Uno yesterday and your guide is the best resource to get me started. Thank you so much! Great job, lady. Kudos to you for shining a light on such an interesting topic. Page 3, first box – resistor, not resisitor. Nice work! Could you make it editable? I would like to translate it to spanish to use it in my classes. I am in the process of making a version that can be used for translation, someone from the Arduino team is going to translate it into Spanish. When it is done, I will post it here, and try to email you back. That would be awesome 🙂 thanks again! Thank you for creating and posting this. I feel grateful to have Arduino explained to me simply and colorfully. Hi Jody. Great works! I’ll be using this with some kids..
Maybe add this as a resource?? I´m part of a Hackerspace in São Paulo Brazil called “GAROA HACKER CLUBE”. I want to use your material in a very basic event to explain arduino to our people. To make that happen i´m translating your book to brasilian protuguese using PDFescape web site. When done i will send it to you. All our events are free. I´m writing to ask for your permission to translate and use the book. I’d like to translate it in Italian and use it in my classes. Is that possible? Can I help out in some way? I’m in the process of getting something together that can be used for translation, I’ll let you know when it is done. Great! I am a novice in Arduino and I loved your job about the subject. Congratulations! Thank you and sorry if it have some error. Thanks so much, I am very excited to see it in another language. As i can see, the comic has a cc license, and i want to edit and translate it. Where can i get the sources? As a teatcher, I would like to use the Portuguese BR version of this comic book. Altought Claudio did an excelent job on it, I would like to use it for my Netduino classes, very similar to Arduino, but it would need some changes. Could you please provide an editable version? 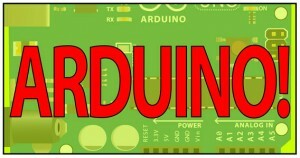 I just uploaded the Dutch translation to the Arduino site. The Arduino Playground has a version up that I prepared that has blank word bubbles and a script in English. I will put it up here as well, but for now here is the link. http://arduino.cc/playground/Main/ArduinoComic When you have it done, let me know! Check out the Arduino Playground for the script as a text document and a PDF with blank word balloons and text fields that I prepared to make it easier to translate. http://arduino.cc/playground/Main/ArduinoComic Will put it here too, eventually. I just downloaded the English version and on page 8 some of the text is not displayed correctly. The first panel has overlapping text in “integrated development” and “IDE”. The second panel has a similar problem with “sketches or programs” (at least I think that is what is intended). The third panel has an issue with “done”. All of these seem to be bold italic text. I don’t see this problem on other pages. I am using Acrobat Pro 6.0, maybe the issue doesn’t affect other versions. I don’t see the problem with SumatraPDF. Hi Jodyc, Can i link your comic to my site as i am collecting all useful information from the web. I have a learning disability and have attended beginning arduino calsses. I was stumped and didnt know why. They had not made clear to me the layout of the holes on the breadboard and I was unable to understand the class from that point forward (a very hard hurdle for me to overcome). Thank you so much for your clear explanation of the breadboard layout. It make perfect sense to me now! Thanks for the great comic. It got a lot of people started at our local Hackspace in Germany. Here is our German Translation / Deutsche Übersetzung. PDF-Downloads and source-SVGs are in a zip file at the bottom of the page. It’s updated to show the Arduino 1.0 IDE. Thanks so much, it is great to hear that. Thank you! very exciting to have it in other languages. I need to update to 1.0, will do it over the summer. This is really helpful! I’ve known about Arduinos for years, but this is the first time I felt prepared to actually USE one! Thanks so much — great work! I’ve just translated and uploaded an Italian version on the Playground page. I used Inkscape (on linux) for editing importing PDF pages one by one, working with SVG files, exporting back to PDF and joining pages with pdftk. Is there some workaround so I can make a better job using free software only? Thank is a good question, that I can’t answer now. I will look into it. Thanks for the translation! You make me want to get an Arduino!